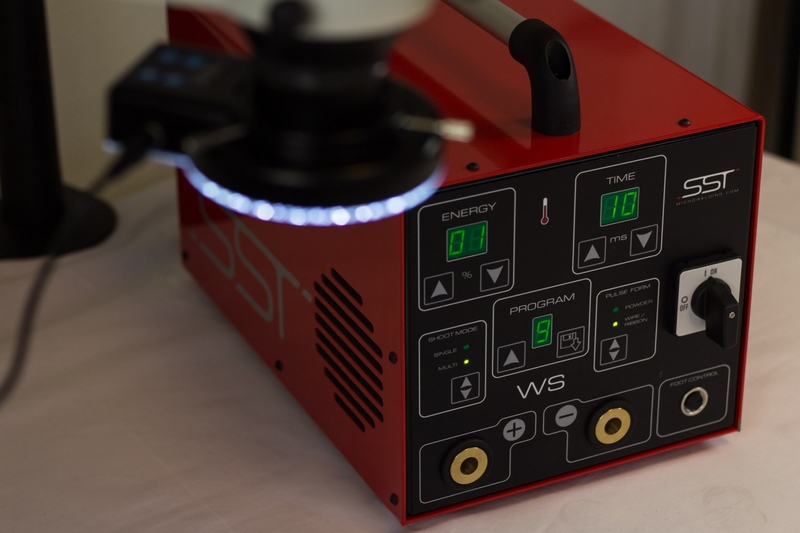 With a rate of 50 pulses per second, a very high maximum power, millisecond-long welds and extremely precise current regulation, they enable you to obtain optimal weld quali-ty, very close to laser quality, be it in terms of aspect or resistance, even to extreme stress (shock, shear, pressure, thermal shock, erosion, etc.). 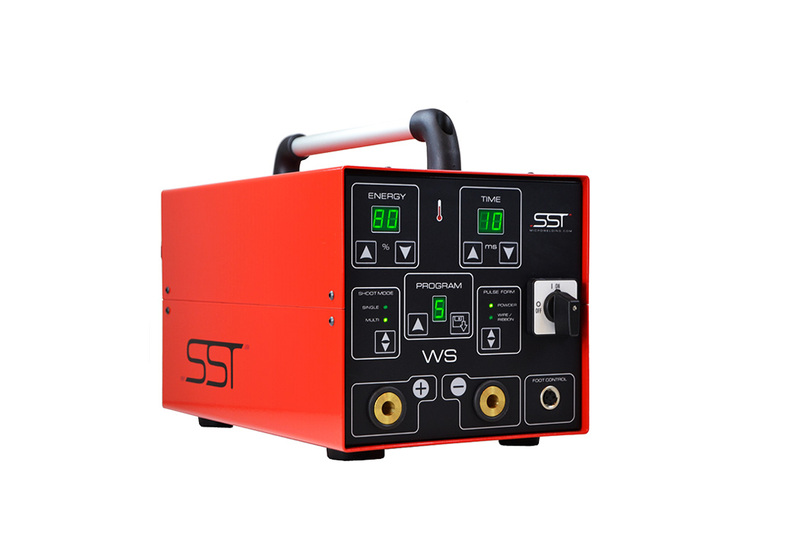 Discover our range of accessories and consumables for WS generator. Mobile serving cart equipped by electric cylinder operated by remote control. To use with extended cables. Switchable permanent magnet hemisphere, which allows flexible and versatile clamping (free rotation) for fine application. Available in two diameters: 100 and 140 mm. 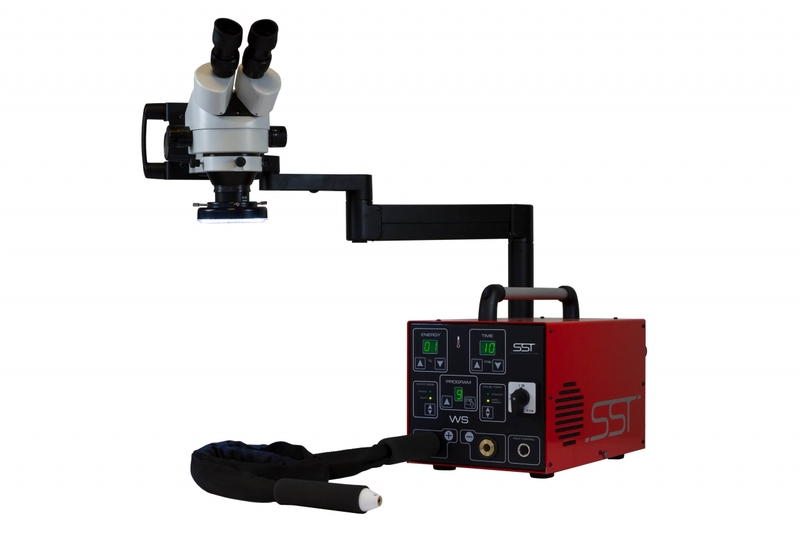 Stereo binocular microscope with articulated arm / Adjustable magnification from x4 to x20 / Cold lighting ring with 60 white light LEDs.